You can inactivate a questionnaire or a consent form that you no longer want to use. Inactivating a form does not affect the records of patients who have completed this form previously. When you inactivate a form, it will no longer be available to patients. 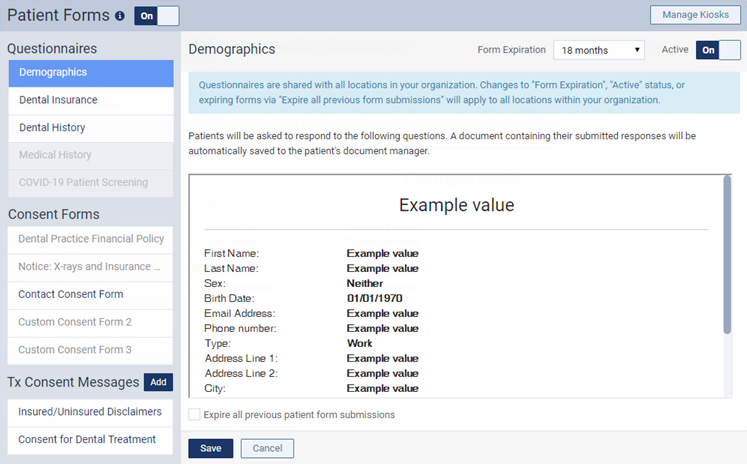 On a location's Patient Forms page, under Questionnaires or Consent Forms, select an active form (the name will be in black text to indicate that it is active). Set the Active switch to Off.